The STEM fields are often taught from a book in modern classrooms. But elementary aged kids are naturally curious and love hands on, interactive experiences. Kids are natural problem solvers. Provide children with open ended STEM problems and they easily jump into activities, work on as a team and share ideas with each other. This is the type of environment the Kaleidoscope Discovery Center is striving to create. We include two areas in addition to the STEM fields that we focus on. The Kaleidoscope Discovery Center seeks to expose children and adults to opportunities that advance the understanding and appreciation of: engineering, science, technology, the environment, arts, and math (ESTEAM); through hands-on learning experiences, which inspire everyone to imagine, explore and create a better world. We want to create a fun and interactive science center where people are inspired to imagine a universe of endless possibilities. The Kaleidoscope Discovery Center exposes children to ESTEAM activities through a variety of programs, classes, and camps like our Robotics Program that has already produced a few world class teams or Project MEGASSS, a middle school program for gifted math students. We run a variety of day camps in the summer and classes for homeschoolers during the semester. We also offer field trips for local schools and ESTEAM themed birthday parties. The Kaleidoscope Discovery Center is a non-profit organization that survives by the dedication of volunteers, community participation and donations. The KDC is a community organization and we only survive if members of the community, like you, say “Yes, this is something I want in my community” and you are willing to donate your time or money to the cause. Every little bit helps! Support is just a click away. AmazonSmile is a website run by Amazon that offers products at no additional markup that can be purchased to support charities. Through the AmazonSmile program, consumers can support charities with every Amazon purchase they make! A percentage of all purchases made through the KDC’s AmazonSmile link will go to the KDC. 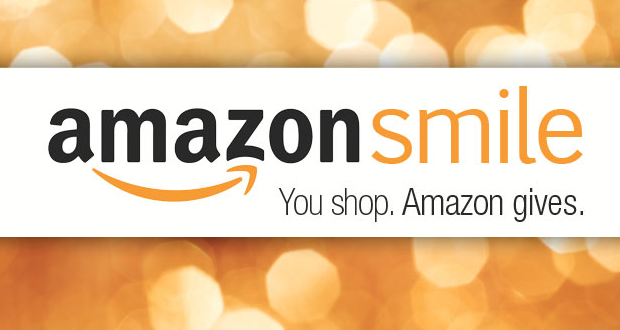 If you support the KDC, do your birthday and holiday gift shopping through the KDC’s AmazonSmile link today! By shopping Amazon through smile.amazon.com, you can give donate a portion of every purchase to the Kaleidoscope Discovery Center!